who seemed to only want to talk to people all the way across the aisle from him. 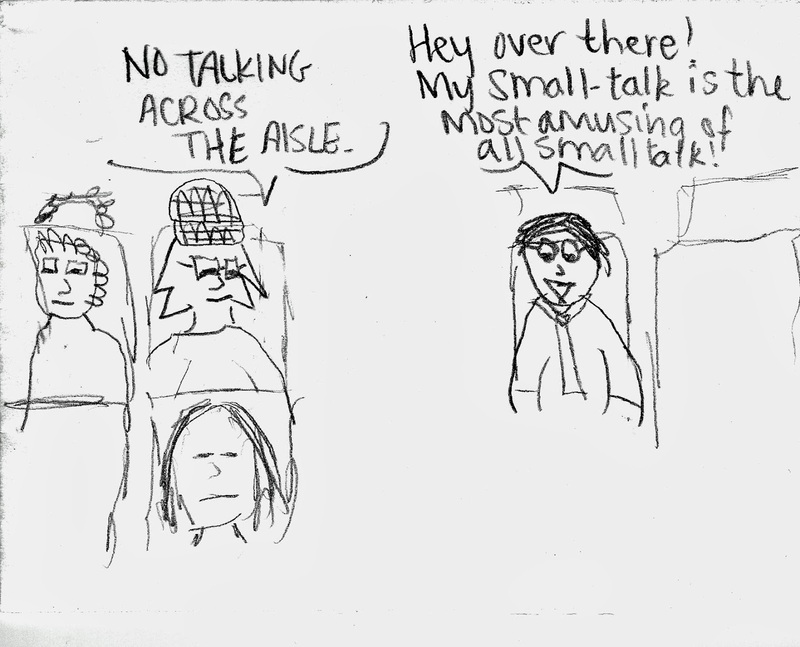 He talked the entire flight. Just a small note about birthdays, since it's my birthday when this post becomes live. I've stopped celebrating most holidays, for reasons I've discussed in my blog before. Holidays are just not fun for me anymore, because celebrating them is just, well, marketing and money and expectations and weird traditions that stress people out, and there's just no joy for me anymore. I love celebrating an individual person. I love celebrating another year of their life. I love celebrating that we are sharing this life together somehow. And that we managed to, like, not fall off a carnival ride yet. But in a one-on-one individual one-at-a-time kind of way. I need to just focus on one person at a time. Birthdays are all over the year, not crammed into 'holiday seasons,' so that's nice, too. mostly because it reminds me that I'm loved, too. Maybe even as much as I love others. I just have to remember that the love is always. so I should probably assume that road goes both ways. Happy Birthday - and the first person speaking should be on the left, not the right.